Whether you know it best for its spectacular natural environment, for raising some of our favourite personalities including comedian Dave Hughes and a raft of Australian Football League (AFL) players amongst other notable sportspeople, or for achieving fame as Victoria’s shipwreck coast, there’s no question that Warrnambool is one of Regional Victoria’s most loved and well-renowned coastal cities. Let’s find out why. With a population exceeding 33,000, Warrnambool is the largest city in south-west Victoria and is the major regional centre for health care, education, professional services and sport and culture. Generating an impressive $3 billion economic output, Warrnambool makes a significant economic contribution to the region. Situated within a striking natural environment with good connections to Melbourne by both road and rail and a thriving commercial centre, it’s no wonder the city also attracts around 700,000 visitors each year. Whether you’re into shopping, the arts, the outdoors, the beach or wining and dining, it’s all on offer in Warrnambool. Filled with historic buildings, gardens and landmarks, it’s easy to get lost in Warrnambool’s seaside history, with many attractions dating back to the mid-1800s. Get a taste of 19th century architecture by visiting the Lady Bay Lighthouses, the Warrnambool Garrison, Proudfoot’s Boathouse, Wollaston Bridge or Warrnambool’s collection of historic churches and hotels. 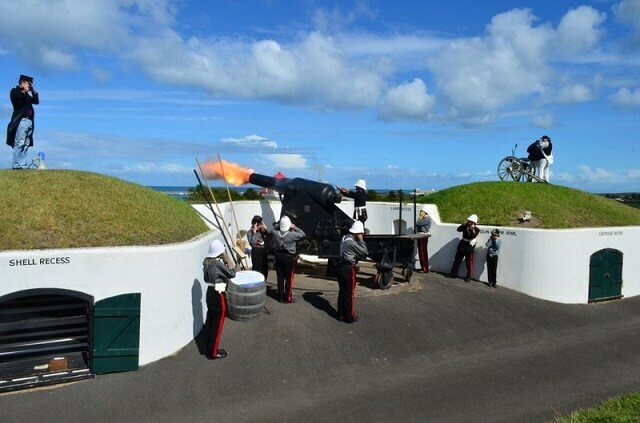 For first-timers to Warrnambool, the sound and laser show and maritime village at Flagstaff Hill is a must visit attraction. Set in its gorgeous heritage listed site overlooking Lady Bay, maritime village gives you a taste of what life was like in a 19th century port town, while the $5 million Shipwrecked sound and laser show tells the story of one of Australia’s most infamous maritime disasters. While there are plenty of things in Warrnambool to keep you occupied, the main attraction of the city is undeniably it’s beautiful natural setting. Situated on rugged coastline just beyond the end-point of the world-famous Great Ocean Road, Warrnambool also boasts a fantastic selection of parks, gardens and rivers, including the breathtaking Hopkins Falls, as well as spectacular whale watching opportunities in the cooler months. It’s easy to fall in love with what’s on offer in Warrnambool, but the real question is can you live there comfortably? The answer is yes. You have all the resources and facilities you need to make daily life a breeze in Warrnambool, including a great selection of shopping precincts, boutique stores and markets, your choice of restaurants, cafés and bistros, two hospitals, a handful of child care centres and a plethora of sporting and recreational facilities. With twelve primary schools and four secondary schools to choose from, you can rest assured that you’ll be able to provide your children with ample opportunity to get a great education. 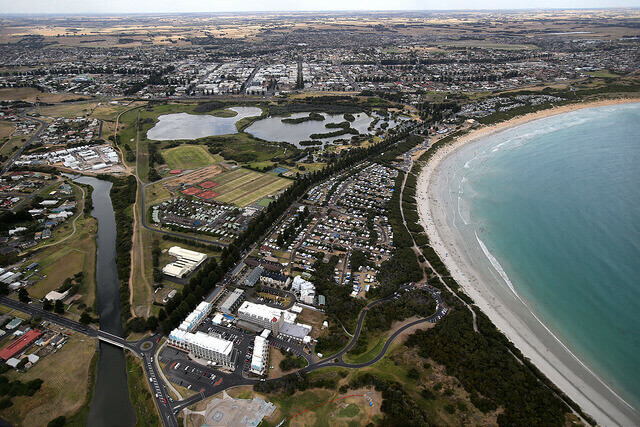 Warrnambool is also home to a Deakin University campus, allowing residents access to tertiary education from one of the nations’ top universities, without needing to rely purely on distance education options. If you think the idyllic lifestyle on offer in Warrnambool would suit your family, there’s only one new home builder to consider. 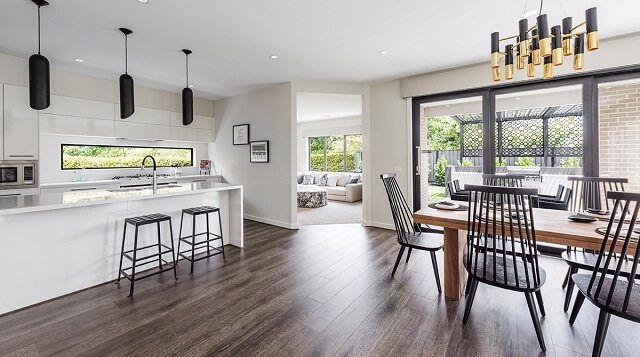 With an extensive range of contemporary home designs and affordable house and land packages, Dennis Family Homes has been building homes for Australian families for more than half a decade and knows what truly makes a house a home. Let us help create your new home in Warrnambool. Contact us to find out more.